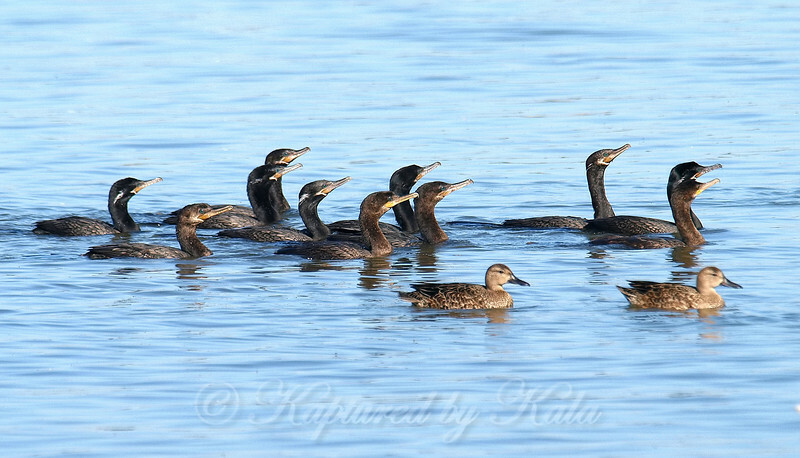 Once there were 11 cormorant gathered, they all started swimming together. They were herding fish out of the wide bay and into the mouth of a narrow creek that feeds into the bay. Some of the cormorants had the white breeding plumes on the side of their head. A couple of blue-winged teal decided to join the fishing party and swam along with them. It was a fascinating sight, all of them swimming with purpose and in a cohesive group.